Pours a honey orange with a pillowy white head. The Belgian yeast is dominant on the nose. Notes of spice, honey, sweet malty bread nots, herbs, fruit, fresh cut grass, orange all leap from the glass. Sweet and heavy bready malt flavors rush in with a wave of heavy carbonation with fruity notes that are reminiscent of Mead. 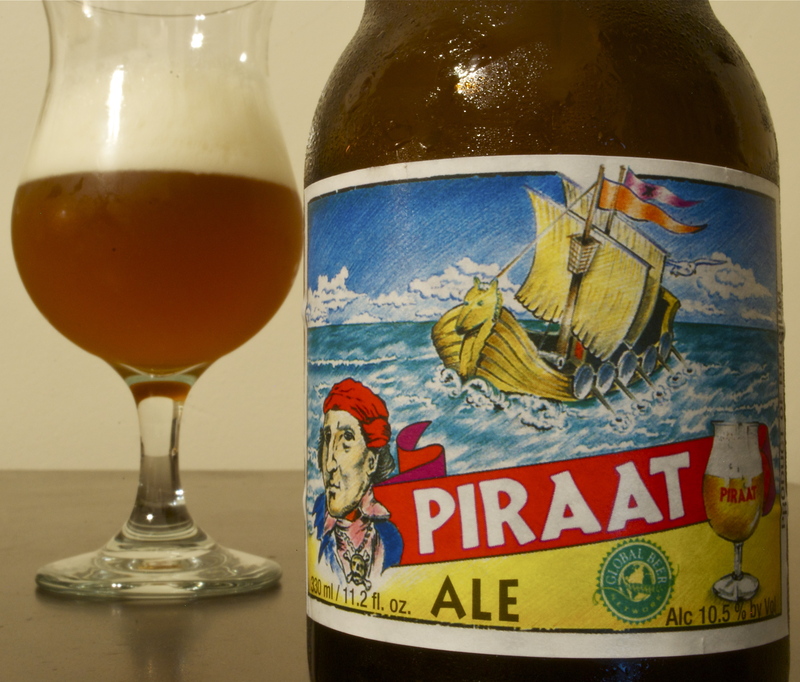 There is an herbal sweetness, honey and sweet apple, pear are part of Piraat ale’s finish. There is a somewhat faint bitterness that lingers in the mouth, the hops shining through only in the floral and fruity notes of the beer and not too much on the bitter end. Has a medium body and some residual sugar that make it too sweet to be refreshing but a good beer to contrast nutty cheeses, sharp cheddars, or harmonize the sweet, or earthy ones. This would be great with Brie or goat’s cheese.